Deloitte has released its 2019 technology trends report that details the implementation of disruptive capabilities such as advanced networking, serverless computing and intelligent systems for government activities. The "Government Tech Trends 2019: Beyond the digital frontier" report covers eight trends in government tech implementation and indicates scores on each trend based on relevance and readiness for application, Deloitte said Tuesday. "Finding ways to integrate a constellation of new technologies into a new operational paradigm is the next level challenge that's unfolding in government right now," said Scott Buchholz, principal for Deloitte's consulting practice and chief technology officer for its government and public services arm. Trends include the use of macro technology such as cloud and blockchain for supply chain functions; AI and machine learning for payment processes; serverless interfaces for pay-as-you-go activities; and advanced networking capabilities like 5G, satellite and ultra-broadband. The report also covers the deployment of augmented and virtual reality platforms; the use of data-enabled technologies for advanced marketing; DevSecOps implementation; and strategy development for promoting digital transfromation. 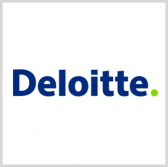 Deloitte based the 2019 government trends report on the previously issued Deloitte Tech Trends.